DaddyDaddyCool: Get a Theme Park all to yourself! Theme Parks... love them! But also... hate them! There is so much fun to be had, with thrilling rides, excited children and people watching. But boy are they hard work. Put in a seven hour shift, hit 3 big rides, pay £££'s for fast food, and then pay more £££'s to win an enormous polystyrene-filled donut/spongebob/angry-bird, and have to carry it around all day. Sure as "eggs is eggs"... there is! There are only three ways to improve the theme park experience. And one of those doesn't count for anyone on a budget. 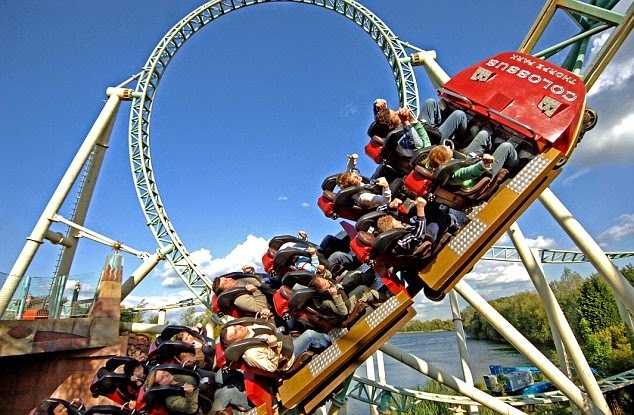 Let's use Thorpe Park in Surrey, England as our example. Adult ticket price: £29.99 online. Ultimate fast-track ticket £75.00. 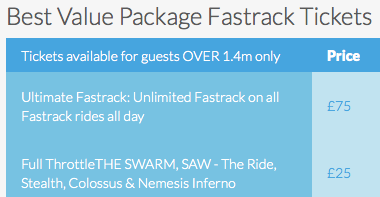 Yes, you can get cheaper Fast-Track tickets, but even 3 rides for £25.00 will leave you queuing most of the day for the other rides that you're only killing time with until your next Fast Track timeslot comes up. To recap. A day out for a family of 4 at Thorpe Park would cost around £120. To be able to skip the queues you'll need to find another £300! That's some Merlin Entertainment magic for you! The DaddyDaddyCool crew can 'do' Legoland in 90 mins, be back in the car and heading off for fun elsewhere. If you have an annual pass, this is a good stop-gap option, but beware the pit-falls. Most theme parks open quite early in the summer. Not many people plan to get to the gate just before the opening time. And even fewer are happy to run from the gate to the rides flat out. If you do have time-management and kids who can get a lick-on, then this one's for you. I promise you the first ride will not have a queue. 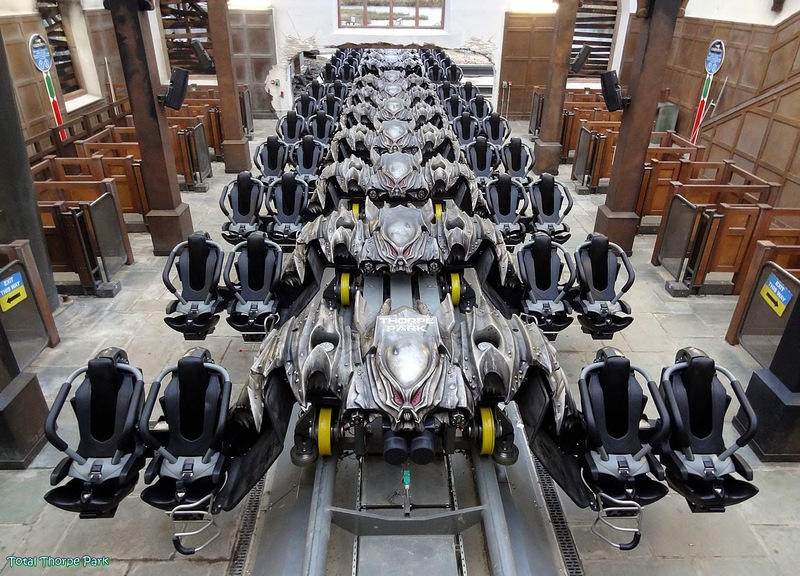 The second ride will have a 10 minute queue, and the third will be sub 20 mins. If you plan your route carefully, you might get 4 or even 5 big rides done within 90 minutes. You'll be tired and thirsty, but it's well worth it. Just remember, no picnic, no toilet stops, no untied shoelaces, just get there, get round, and take no prisoners. You might then decide to relax and enjoy the rest of the theme park at a more leisurely pace. But if my experience is anything to go by, the kiddie rides don't hold much attraction if you've just been upside-down 10 times. We usually just head off to our next activity, happy to have snuck in some special 'coaster' time. WARNING 1: Theme Parks with Hotels attached often allow hotel guests to enter the park 1 hour earlier. Check you theme park's rules on this. If they do, then just don't try 'Early Doors'. WARNING 2: Some Theme Parks open early, but don't open the rides early. Alton Towers don't open Oblivion until 30 minutes after the gates, and at Legoland you can shop and eat at the entrance courtyard from 10am, but you'll have to wait until 10:15 to be allowed down the hill to the rides. Ugh! Option 3: Do this and you won't ever bother with Options 1 or 2, NOT EVER! Many theme parks have a limited number of 'Nights', where the park is open from just after normal closing time to around 10:00pm. 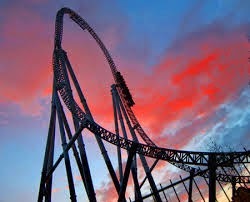 To use Thorpe Park as an example, it is open on 3 weekends per year on Friday and Saturday nights from 7pm until 10pm. It is also open on the weekend of Halloween, but that's one to avoid. Not many people know about or realise that these 'Nights' even happen. Which means, that the parks are practically empty on these nights. And by "empty", I mean practically no queues, at all! ........then this is the ONLY TIME TO GO! 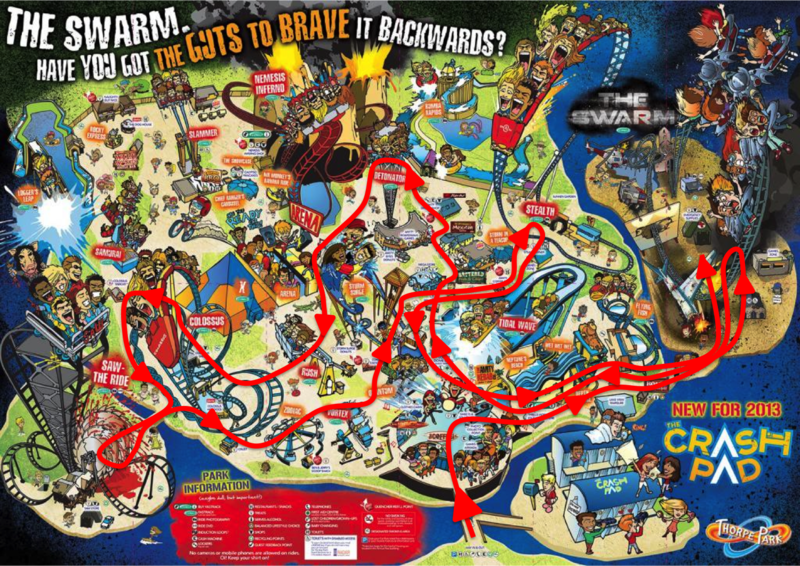 At Thorpe Park, the tickets are £15 each - that's 50% off the normal day ticket. Only the big rides are open, and there is usually extra entertainment laid on - disco, beach games, etc.. to foster a party atmosphere. Because the DaddyDaddyCool crew have season passes, it cost just £5 per person to enter. I did this twice this summer. Once with adult friends, to scope it out. And then again with my 3 kids. The adult visit was mostly to check that the theme park at night wasn't over-run with gangs of unruly teenagers, that might be a bit much for my 8/11/13 year olds. As adults we had a fabulous time. All the big rides, some of them twice, and back to Ascot for civilised dinner after. A fun night out. But the visit with the kids was really very special. My 8 year old just crept over the 140cm mark for the first time this summer. For 2 years he has had to wait by the exit door of all the big rides while I took the older kids on the big, awesome rides. That can't have been much fun for him. But he never complained, his time would come. We arrived at Thorpe Park just before 7pm to secure our tickets and queue for the opening. As hoards of 'day' visitors streamed out of the park, we were headed back into the park as the sun was getting low in the sky. That was a great feeling in itself. With the excitement that we all had for our littlest growing all the time, we headed straight for SWARM, the newest coaster in the park. It is fast and smooth, involving barrel-rolls, twists, near-misses, smoke and impressive speed. Now... I said that the Park was practically empty. There were plenty of people around, but the capacity of these rides is such that every time we got to a new roller coaster, we simply decided whether we wanted to wait 1-3 minutes to be in the front row seats, or whether to get straight on any other seat. That's a pretty good choice to have. So SWARM was in front of us, and we waited for one (half-full) ride to set off, and we were next in line. We had all four front seats on one the best coasters in Europe. Our 8 year old held it together - he was clearly nervous, but committed to enter into the 'Big Ride' fraternity! After some screaming, some teeth clenching and a lot of laughing, we were off and heading to the next ride. Time now 7:07! After that we took our time and rode Nemesis Inferno, Collosus, Saw and... my favourite... Stealth - twice! We had a few drinks breaks to sit and chat about how incredible the park is when it's nearly empty, and when it's dark. There was a lot of positive excitement and everyone was so pleased to have our littlest finally be able to join in the fun. We had done the big 5 coasters and it was only 9:00pm. So we went back and did SWARM one more time. The short drive home had all three kids giving their verdicts on each of the rides, and their differing viewpoints from being first timers, to being (at aged 11) seasoned coaster-riders. I think we'll remember that night for a very long time to come. And frankly, I don't want to go back to long boring days at a theme park, ever again.